Apr 7, 2019 6:00:00 PM / by Rusty G.
Sell an ATV or trade in dirt bikes the easy way online. Get your free cash offer! Looking for a dirt bike trade in? 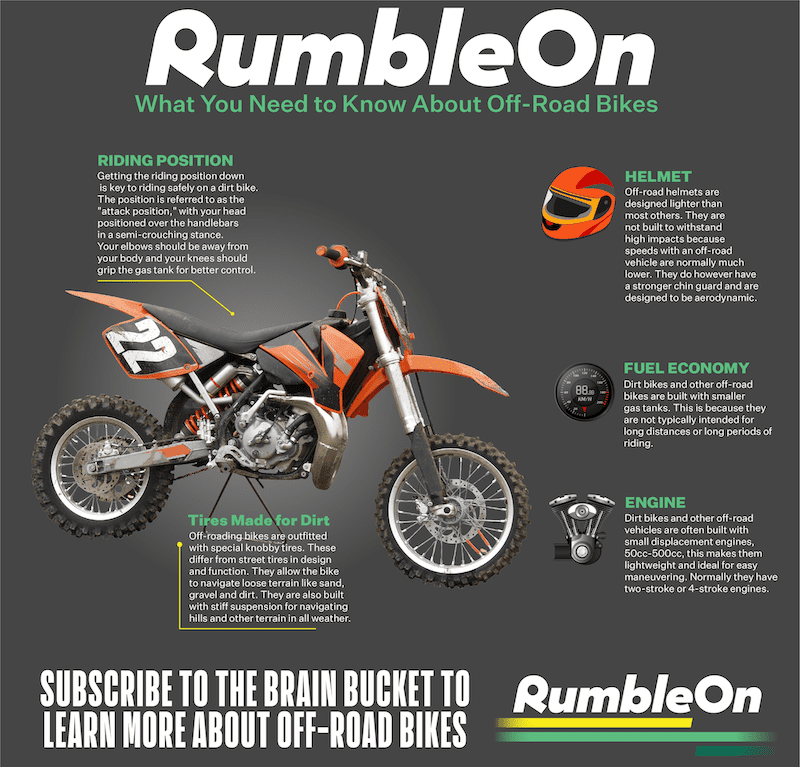 Sell an ATV or trade your off-road vehicle with RumbleOn! When you’re first learning how to ride, it’d behoove you greatly to choose an environment characterized by controlled riding conditions and set track variables. This way, you’ll be able to anticipate obstacles on the course and make the necessary adjustments; in this case, a motocross track might be your best bet. What’s it like learning to ride a dirt bike for the first time? When prospective riders ask “Is learning to ride a dirt bike difficult?” I have to be careful not to sound too much like a know-it-all because, uh, YES! 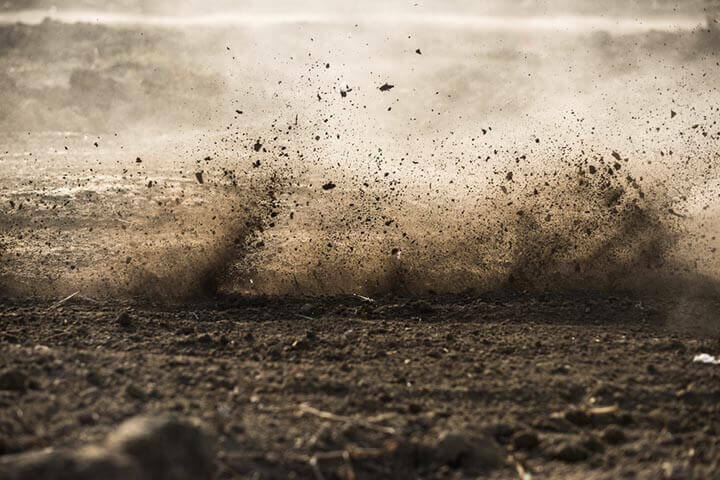 This feat of riding requires tons of patience and practice because, let’s face it, you’re going to be spending a lot more time in the dirt than on your bike in the very beginning. Should I buy a used dirt bike? Paramount to establishing your terrain preferences, you’ll want to think about your riding experience, and whether or not you’ve got enough to justify the purchase of a new or used dirt bike. For example, if I were brand-new to dirt bikes, I wouldn’t even consider buying a show-room dirt bike simply because I wouldn’t have the experience or the skill level to rationalize this kind of purchase. But, hey, I know everyone’s different, so if you’ve got your heart set on a brand-spanking new bike, by all means! However, if you count dollar signs like you do sheep at night, and you’re looking for the best dirt bike for beginners, you’d be doing your pocketbook a solid by honing in on used dirt bikes. Sure, a used bike may have been christened by another, but how important is this really when you’re still learning how to ride a dirt bike? A few scuff marks here and there never hurt anyone! Plus, you could be looking at a difference of upwards of $6,500 if you choose to buy new (depending on the brand you go with, of course). What is the best beginner dirt bike? At the end of the day, if you’re loyal to a particular brand, I’d probably be wasting my breath trying to talk you into one brand or another. If you’re completely green to ATVs, though, I’d suggest looking into either KTM, Honda, or Yamaha. They’re all reliable and recognizable brands, with deep roots in the powersports industry. Brands aside, there are some other factors to consider when you shop used dirt bikes. In addition to the size of the bike’s gas tank (cc’s will affect the cost), pay special attention to whether the bike you’ve taken a liking to has either a two-stroke or four-stroke engine. A skilled rider has likely mastered riding both types, but if you’re just starting out, the difference between these two engines could mean the difference between a smooth and controlled ride with steady power delivery, and a swift ride characterized by frequent shifting and intense kicks to the motor. Do you need a license to ride a dirt bike? Turns out, you can buy a used dirt bike for off-road use without the hassle of getting a special license or permit (though a license plate is required). HOWEVER, circumstances will change if you opt to make your bike street-legal and ride it on commercial streets. To be sure of what your state requires in terms of operators permits and licensing, you may need to contact the state’s Department of Motor Vehicles (DMV) or Department of Transportation (DOT). Finally, while not as classroom-intensive as a motorcycle safety course, there are ‘dirt-bike riding for beginners’ classes you can take if you’re a little uneasy about learning in a less professional environment. They typically last one day and offer hands-on training. In these courses, you’ll learn basic riding skills as well as responsible riding practices. All in all, dirt bikes are not “one size fits all” machines, and you’ll soon discover this when you decide to shop used dirt bikes. 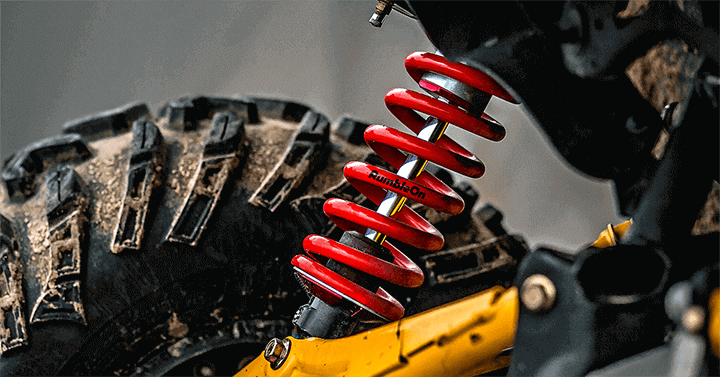 And with Spring fast-approaching, I’d suggest visiting RumbleOn’s impressive online inventory of ATVs and other powersports as soon as possible! Buy a used dirt bike or off-road vehicle and get free shipping! Browse our inventory of used dirt bikes, ATVs, and off-road vehicles for sale. All powersport vehicles come with a Money Back Guarantee, a 90-Day Mechanical Guarantee, and free shipping! I live to go off the beaten path. Whether it's about ATVs, UTVs, or dirt bikes, I write fun and interesting off-road articles that teach and hopefully inspire you to hit the trail or the track.